Microsoft on Tuesday rolled out refreshed versions of its Surface Book packing faster hardware, improved battery life and more. The Surface Book 2 is offered with your choice of 13.5-inch (3,000 x 2,000 resolution, 267 PPI) or 15-inch (3,240 x 2,160, 260 PPI) display. Both are of the multi-touch variety, have a contrast ratio of 1,600:1 and an aspect ratio of 3:2. Under the hood, you’ll find up to an 8th generation Intel Core i7-8650U processor and 16GB of RAM alongside up to an Nvidia GeForce GTX 1060 discrete graphics. As for local storage, you can configure the Surface Book 2 with up to 1TB of flash memory. 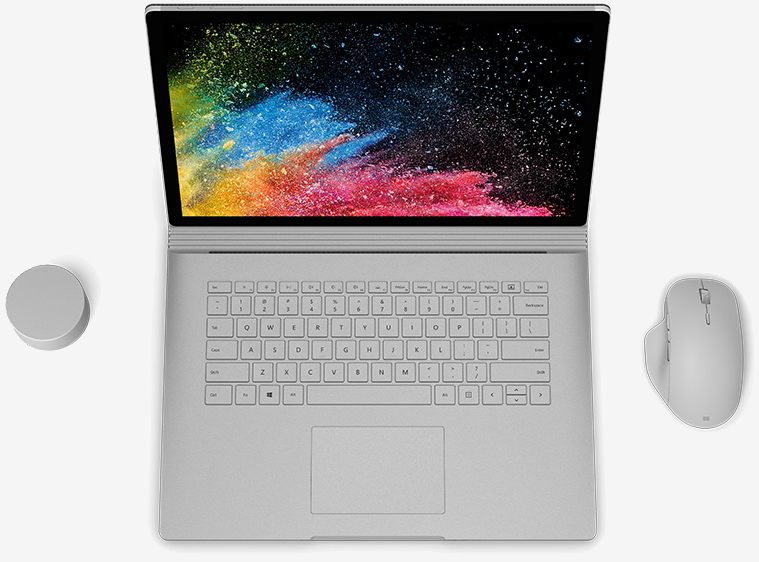 Microsoft’s latest is well-connected with support for 802.11 ac Wi-Fi and Bluetooth 4.1 LE as well as two USB 3.0 Type-A ports, a USB Type-C connector, an SDXC card reader, two Surface Connect ports and a 3.5mm headphone jack. The 5-megapixel front-facing camera supports Windows Hello authentication. The original Surface Book, which served as Microsoft’s first-ever laptop, was unveiled in October 2015. The 13-inch model tips the scales at 3.38 pounds while the larger 15-inch Surface Book 2 weighs in at 4.2 pounds (including the keyboard). According to Microsoft, you can expect up to 17 hours of battery life (video playback) between charges. Microsoft’s new Surface Book 2 ships November 16. Full pricing details haven’t been revealed although we do know that you’ll need to bring at least $1,499 to the table (and that’s for a model with a 7th generation Core i5-7300U CPU). Expect to pay well north of that if you want the Core i7, Nvidia GTX 1060 graphics and a sizable SSD.